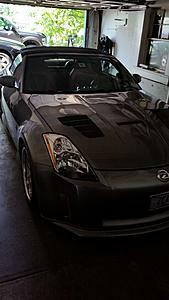 I have owned my 350z since 2004 as I bought it new. 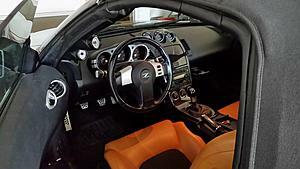 I am a z fanatic and have owned several different years of this great car. Well now it is time to move on and I am looking to sell. 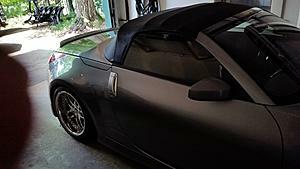 This is a very special 350 that was bought to bond with my son and go to car shows and truly become part of the z tuner community. This convertible Silverstone touring z with Burnt orange ventilated seats has the following mods Vortech v3 supercharger, 3 12 pulley,ngk cod plugs, professionally, tuned ,to 438 HP @351 TRQ.,Defi boost gauge, dual pillar pod, Eibach pro street spring kit, JWT clutch/ fly wheel, JIC Y pipe, JIC cat back exhaust, Stillen front and rear anti sway bars, Racing brake cross drilled rotors, Hawk hp pads,Custom painted calipers,engine cover battery and fluid covers, Snowden graphics, IForged Evolution wheels, , rear spoiler, shorty antenna, Veilside V1 lip, painted Seibon vt carbon fiber hood,,Nismo side skirts, JIC strut tower bar,,Momo custom painted shadow shift ****, Momo carbon fiber handle,and custom boot, RSW carbon fiber interior kit, new Z badges in place of Nissan logos and Nismo radiator / fuel covers. This car has one a ton of trophies including HIN best import!!! This car is truly beautiful and a serious head turner. Garaged always, never seen snow, and has a babied 22k. It is seriously like new a must see. If you live in NH, I have the coveted license plate ZCAR . What should I ask? BTW these pics don't do justice. Will post better ones when I take it out. Last edited by charged2; 04-10-2018 at 06:05 PM. Offer the car for a dollar and I'll buy it. Honestly, it's going to sell for what the market will allow. Due to your mods, it's going to be more difficult to find comps. You can always try eBay and put down a reserve you're comfortable with. Not everyone is going to have the same personal taste as you with regard to body kits and aftermarket mods. Generally, don't expect to see any a whole lot of return on your modifications. In most cases, you're better off taking out the mods, returning the car to stock and selling the mods separate from the stock car. If you want to sell locally, a lot of the pricing is going to depend on where you live (Franklin WHERE?) 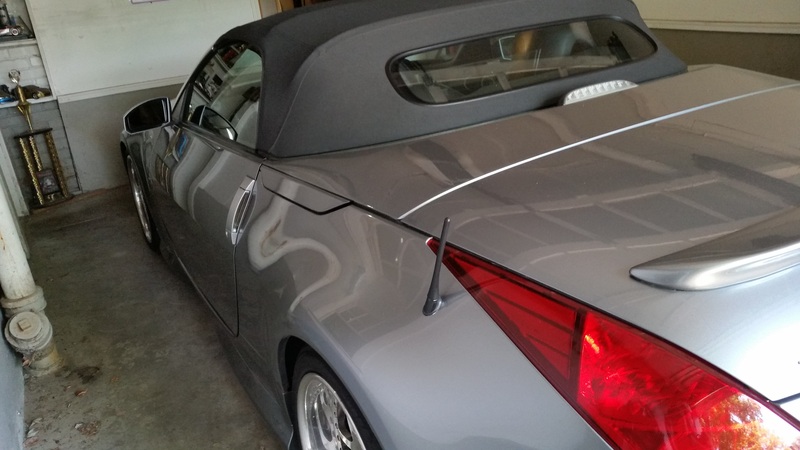 If you're in Franklin Tennessee, expect to get anywhere between $8,000 and $14,000 for the car from a reasonably informed buyer (depending on how badly they want a pre-modded, clean titled, 14 year old, low mileage car.) If the buyer's a nincompoop and you're a good salesman, you could get more. Last edited by zakmartin; 04-11-2018 at 12:06 PM. I do live in Franklin NH and I was on this site as charged for many years I was highly active. but forgot password so I started a new account. I truly hope you are wrong about the price. It is highly disappointing that these cars don't hold value. Owner posted at $22.5k, ended up selling for $16k. If you still want to sell, post on CL and go to every Caffeine and Octane event around and be patient. Okay, thanks for the feedback. I guess all the cars posted on this site for sale are screwed as they are base and 5-9x the miles and close in price to what you are saying I should be asking. See post #6 amigo. Gl! Good Luck. I too am considering selling mine.. 07 listed for 17900. I'm not going to give it away and don't get in a hurry to sell. I completely agree with this, you're better off returning to stock and selling from there. I know its disappointing but any time you customize a car you should know that its a labor of love, and not an investment, with these cars anyway. Be thankful for the memories you have with the vehicle as those are priceless, and move on to the next project. Good luck ! Feeler: What should I ask for my car ? An appointment to get boost, what should I ask ?